Welcome to PACKETS UP®!, your go-to place for laundry safety. Proper storage of all cleaning products is a daily practice that can help prevent accidents in the home. Check out why families are choosing to keep their #PacketsUp and join the conversation by sharing what motivates you! 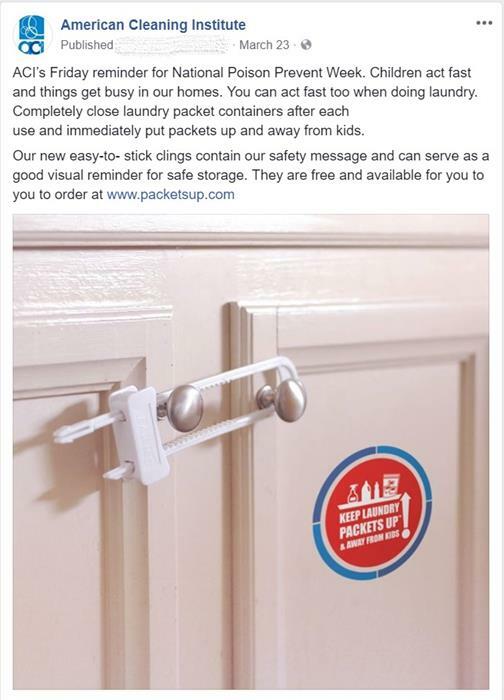 Order a free cling below and put it on your cabinet as a reminder to store products safely in your home. If you would like to request more than 5,000 clings, please email packetsup@cleaninginstitute.org. As a parent, you play an essential role in the safety of your children. You have probably thought about car seat safety, cords on window coverings, and how to prevent drowning or burns. But what about laundry safety? 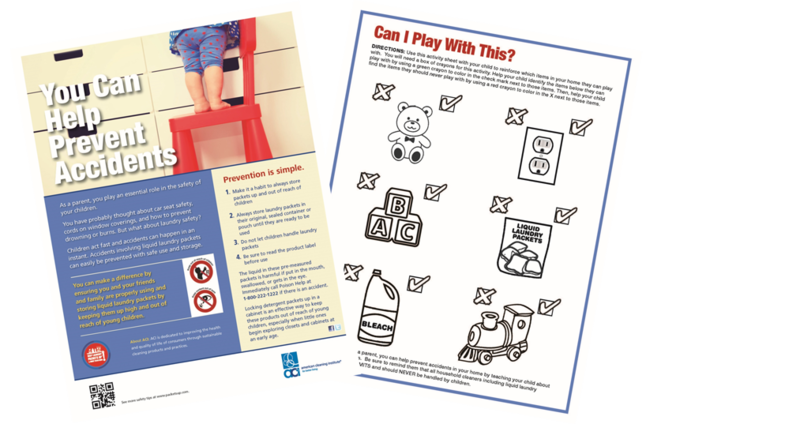 The American Cleaning Institute created this activity sheet to help you teach children that laundry packets are not toys. Children act fast and accidents can happen in an instant. 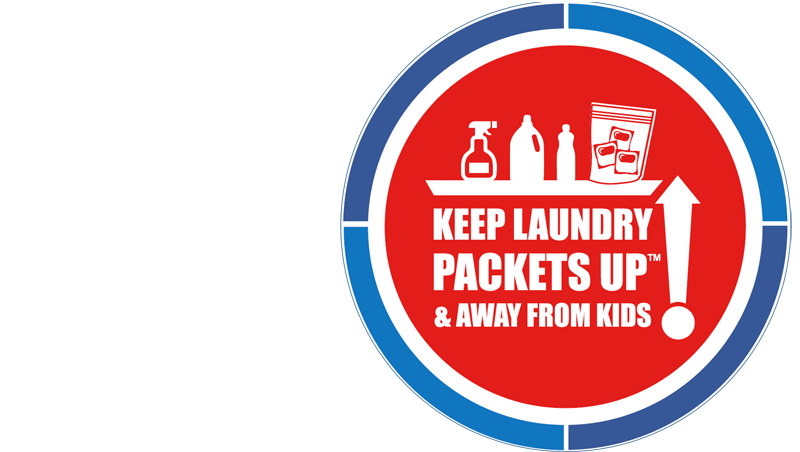 Accidents involving liquid laundry packets can easily be prevented with safe use and storage.You can make a difference by ensuring you and your friends and family are properly using and storing liquid laundry packets by keeping them up high and out of reach of young children. We encourage all parents to download the activity sheet and help your children color it. If you scan and send the finished coloring sheet to education@cleaninginstitute.org we will add it to our art gallery! Check out this video showing hidden dangers in the home and what you can do to prevent accidents. 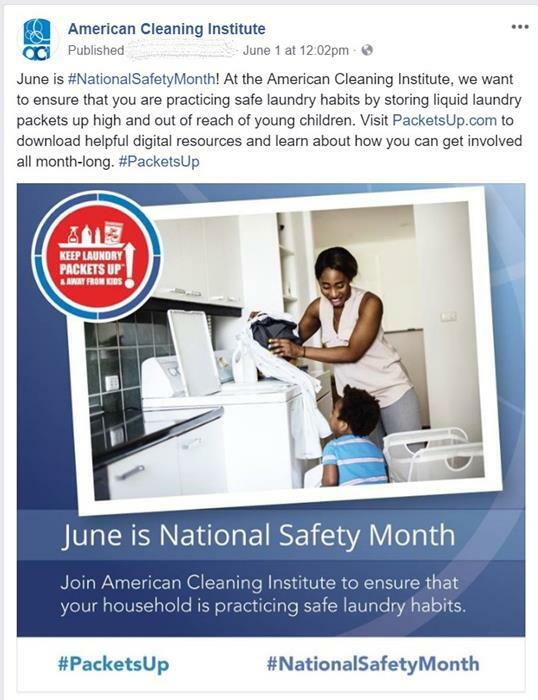 Share this video with your friends an family and help ACI prevent accidents involving liquid laundry packets! While there has been improvement in how parents are storing household cleaning products, exposure to liquid laundry packets among young children remains an issue. 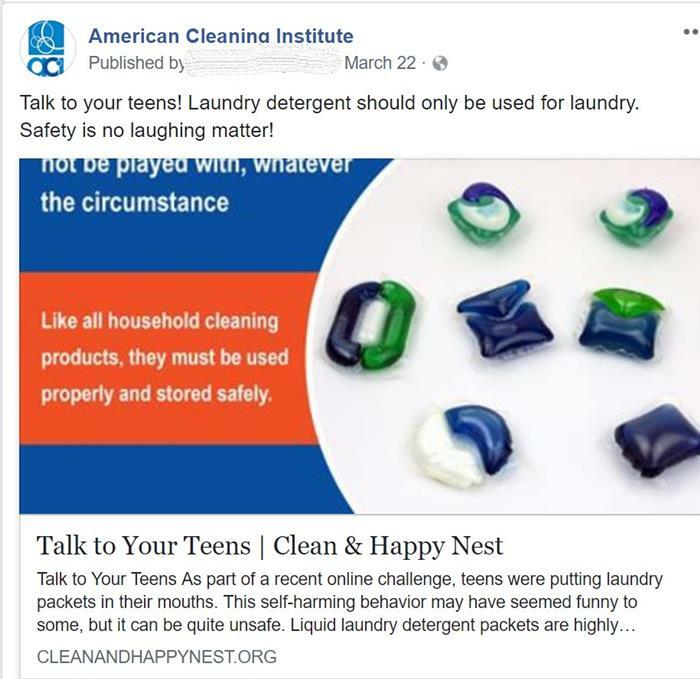 ACI recently conducted a national survey among 1,000 parents and caregivers and gathered insights about current laundry safety habits, highlighting positive behaviors for preventing accidental exposures as well as a need for further education. 43% of families with children under the age of four reported that their children can see liquid laundry packets when not in use. 19% of families with children under the age of four reported storing liquid laundry packets on an open shelf. 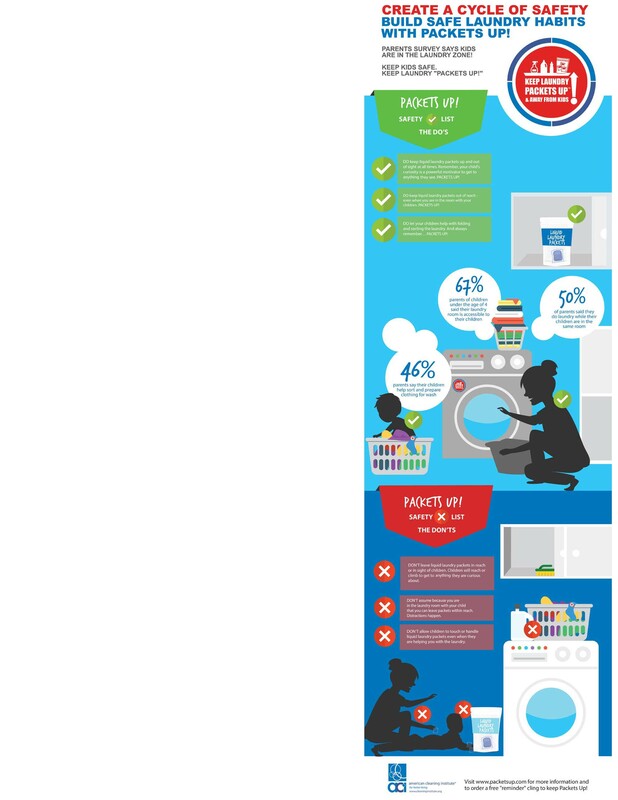 15% of families with children under the age of four allow their children to take part in loading liquid laundry packets into the washing machine drum. All household cleaning products, including liquid laundry packets must always be stored up and out of reach of children and kept in their original containers to avoid confusion. Data released in June 2018 through the standards-setting body ASTM International show a substantial decline in the rate of young children’s exposures associated with liquid laundry packets. 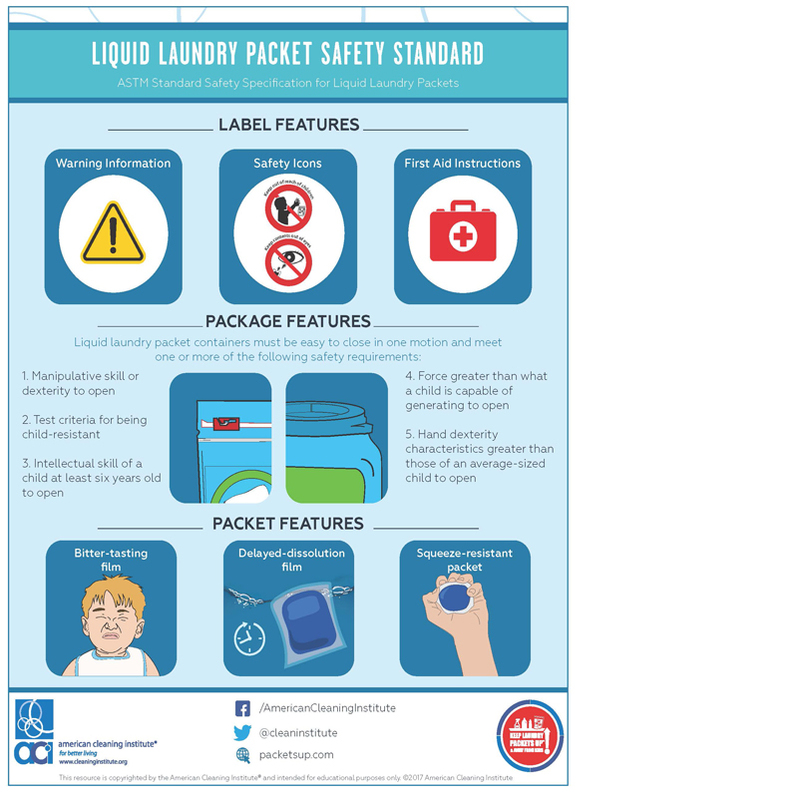 The December 2015 publication of ASTM's liquid laundry packets voluntary safety standard contains a strong set of package and product design interventions and labeling changes that are intended to reduce accidental exposure to liquid laundry packets. ACI is encouraged to see the actions manufacturers took to put those interventions in place have led to this decline and helped keep young children safe. 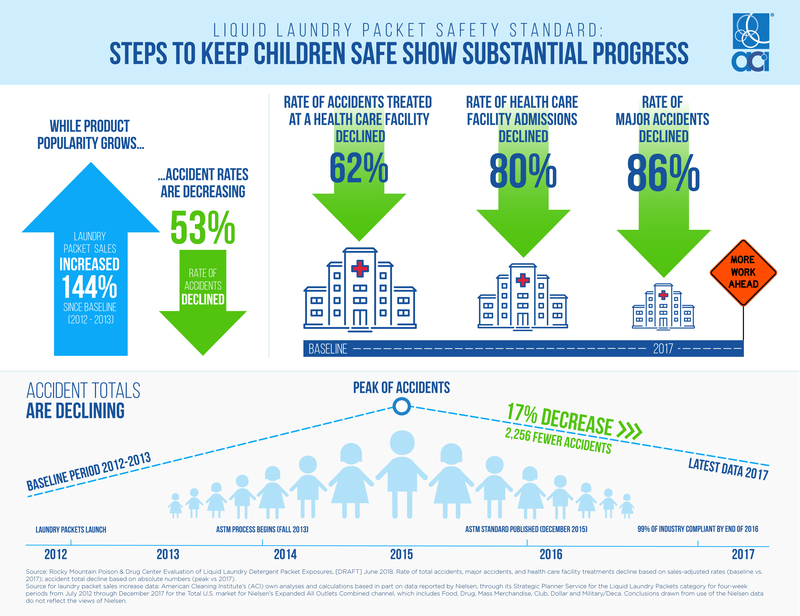 Liquid laundry packets (LLPs), since their 2012 debut to the U.S., have become increasingly popular among consumers for their easy-to-use, premeasured doses that weigh less than liquid detergents. These highly concentrated packets can cause serious harm if they are accidentally ingested or come into contact with the eyes. The American Cleaning Institute® (ACI) and industry manufacturers continue to work closely with public safety officials and consumer groups to identify best practices and understand LLP accidents to reduce their occurrence. Through this work, these organizations developed a new safety standard comprised of packaging, product and labeling modifications to reduce inadvertent exposures.